Addis is quite the interesting city full of vibrant city life, u-turns (that aren’t quite legal), coffee shops on every corner, and all the history and museums you could wish for. 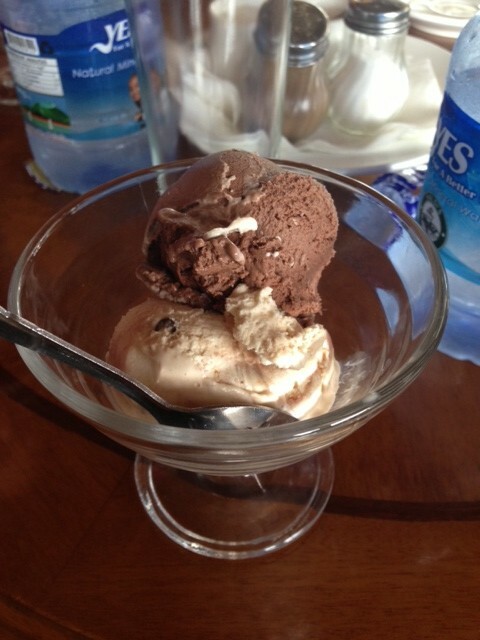 Upon our arrival to Addis from Gondar there were a few food items that we were greatly missing. The majority of our previous stay in Gondar was during the fasting season which means no animal products. At a local coffee shop where we stopped for lunch we also stopped for ice cream. 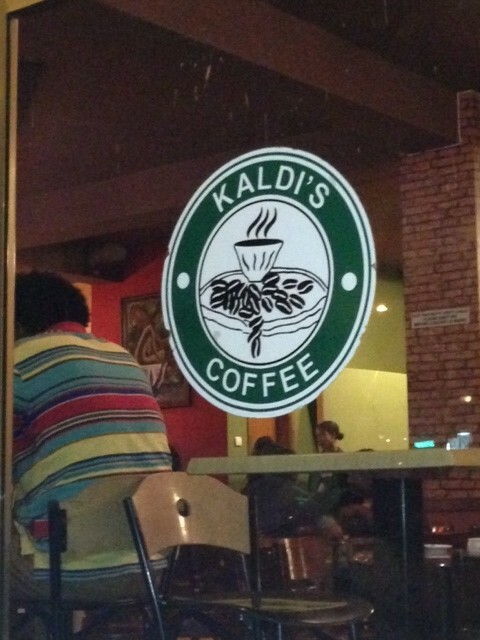 This local coffee shop had a very recognizable logo. Upon first glance, we all did a double take to check the name. The sign here is very reminiscent of a similar coffee shop that is also located on every street corner in the U.S.– Starbucks. We felt quite at home here, both the coffee and ice cream were delicious. After our conference we had two days to explore the city. We all supported the Ethiopian economy during our shopping trip down the busy streets of the market. Street vendors were selling everything you could want including both more traditional and less traditional items. That night we went to a local traditional dance club again with some of the OSU professors here for the conference. We were all able to indulge in a local favorite, tej. It is a honey mead made here in Ethiopia. It is served in a special flask called berele. If you didn’t know, you would think you were being served some form of science experiment because the flask looks like something out of a chemistry lab and the tej is an off orange color. But Addis wasn’t all eating, dancing and shopping. We took the time to visit both Addis Ababa University Museum and the National Museum. At the AAU museum we had the opportunity to see and learn quite a bit about the history of Ethiopia including various traditional medicines used, various tribes and lifestyles present in Ethiopia. There was also a section dedicated to the discovery of coffee and traditional coffee ceremony here in Ethiopia. Another room that particularly caught my eye was the room on musical instruments and their collection of them. We traveled to the National Museum second. The highlight exhibit here was Lucy. 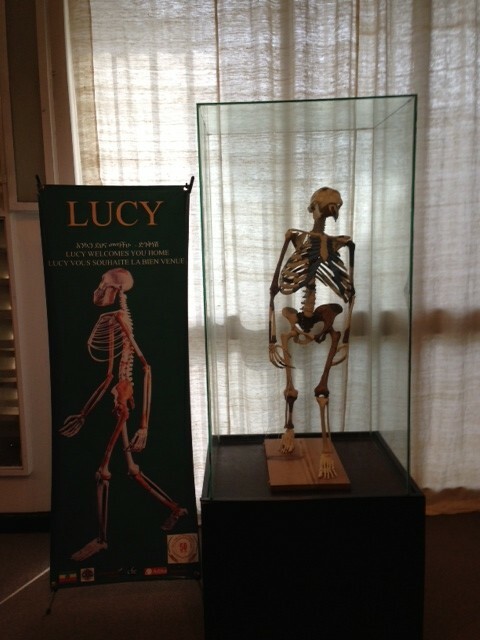 Lucy was discovered in Ethiopia, in Awash valley in 1974. She is thought to be around 3.2 million years old and one of the first bipedal hominid. Seeing her ( both in the standing statue pieces and separate pieces kept apart from the standing statue) was a once in a lifetime chance. Lucy had been in the US for about 6 years but having the chance to see her while in Ethiopia where it is said that humans first lived was a wonderful opportunity. Since returning from Ethiopia I am filled with excitement. The people there are incredibly welcoming, warm, and giving. They invited us to see their patients, wards, and hospitals. The doctors there exhibit such passion for medicine, learning, and are always wanting a lecture. Establishing a long term relationship with the Neurosurgery Department at Black Lion hospital will be mutually beneficial. Upon our arrival, I believed we would be the teachers, but I often found myself on the learning end. The pathology they see is often advanced and requires much skill to treat. Our Ethiopian partners are the “MacGyvers” of medicine doing amazing things with limited resources. Soon after arriving in Addis Ababa, I had the opportunity to give a lecture on risk perceptions to students attending the summer institute. As my driver took me from my hotel to the university, I realized that traffic laws are merely a suggestion here, and pedestrians cross anywhere they can find a break in the traffic. My driver explained that the road we were on went from Addis to Djibouti, so it was constantly busy. Trucks full of construction materials, minibuses used for public transport, and small passenger cars jostled for position, while rickshaws led by mules stayed largely to the side and out of the fray. Needless to say, I was thankful for a driver who knew the unwritten rules of the road! Once I arrived at the university, I had a bit of lunch, and then I was off to lecture. Throughout the lecture, I asked the students for examples of risk perceptions from Ethiopia, and one student mentioned traffic deaths. At the end of the lecture, we spent some time discussing strategies that had failed and what future efforts to reduce traffic deaths might look like. It was a very rewarding experience having engaged students interested in applying knowledge, and learning about applications within their culture. It’s always wonderful when the learning goes both ways in a classroom! Now I’m off to Gondar to meet up with our team working on rabies! Here I am reviewing some class materials with students in the “Food Safety and Food Borne Diseases” course, as part of the Summer One Health Institute. Our hope is to establish ongoing collaborative relationships–not just during the One Health Summer Institute, but well in to the future. We hope to be able to build a mutually beneficial partnership between faculty and students at Ohio State and University of Gondar, which will help leverage expertise and open opportunities for all. For participants from Ethiopia, this experience can bring the world-class knowledge and expertise of Ohio State to address important public health problems, though training and ongoing working relationships. Partners at the University of Gondar bring a wealth of knowledge about local priorities and infrastructure. Research and practice priorities are well organized in thematic areas with an emphasis on team-based research. For faculty from Ohio State, this partnership offers the opportunity to explore and help develop solutions to tropical diseases, wildlife and environmental issues, and to apply new approaches in a different culture and region. This opportunity helps expand the capabilities for students trained through the University of Gondar and faculty to use this knowledge to address important issues in Ohio, in our country, and throughout the world. More importantly, these workshops explore potential ways to work together in the coming months and years. The “One Health” framework is an excellent foundation on which to build this partnership, because it relies on contributions from a range of scientific experts and the active engagement of students in workshop sessions. 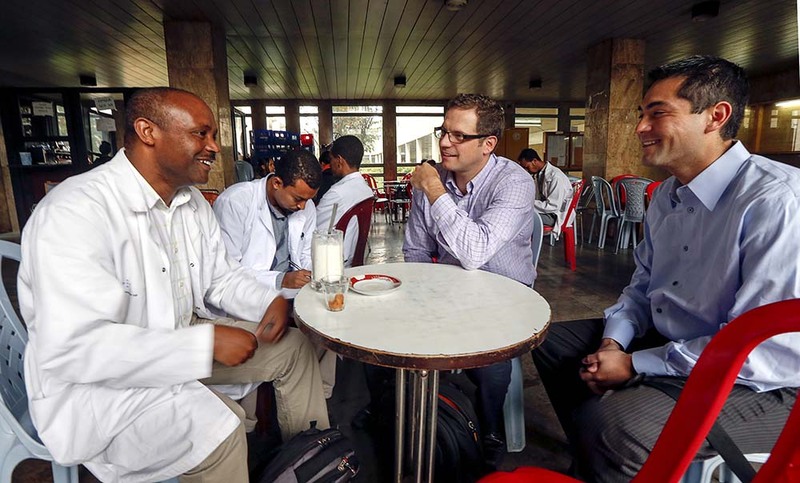 Being from Ethiopia originally, and now as a faculty member at Ohio State, it is tremendously rewarding to see the engagement of both universities in an effort to improve health.